Hoping to pull on their heart strings, Unravel extends a hand to gamers. But despite all the charm Coldwood Interactive have endeavored to inject this indie darling with, it falls flat and feels hollow. 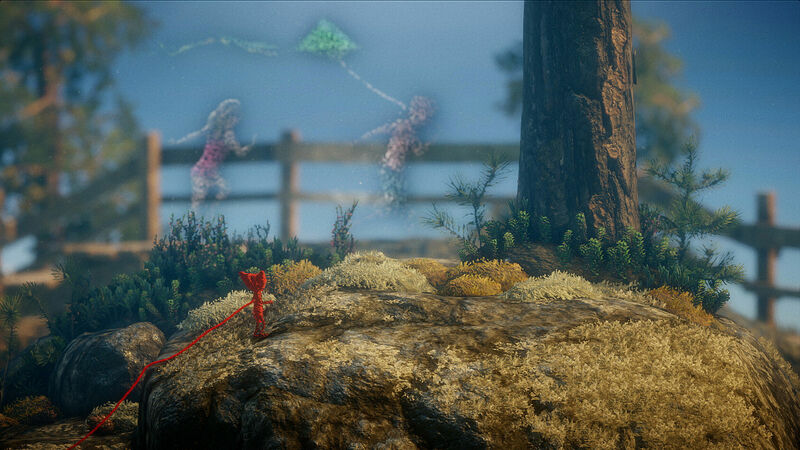 Unravel is a good game. It isn’t bad by any means, but it isn’t great either. You play as the video game equivalent of Woody from Toy Story. An old and beloved toy, who comes to life when out of sight, fondly looking back on memories of his owner’s childhood. Unravel is a simple sidescroller/ puzzle platformer. Using your lasso like limbs, you explore familiar environments such as sheds, rabbit holes and fields. 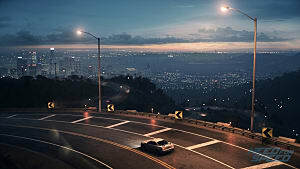 These environments would feel mundane, if you weren’t playing as a character the size of a bird. And traversal isn’t as easy as merely swinging over a puddle or abseiling down a tree. 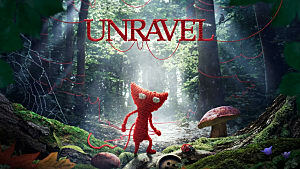 The game’s protagonist, Yarny, slowly unravels as he moves forward, meaning the player must be strategic in the way they move around the world. To continue your journey you must find spindles of yarn placed thoughtfully throughout the level. However, wrap yourself around too many objects or tie yourself to too many hooks for support, and you’ll find you run out of yarn. The player must then retrace their steps, recollecting the threads of your being in order to tackle that section again more sparingly. 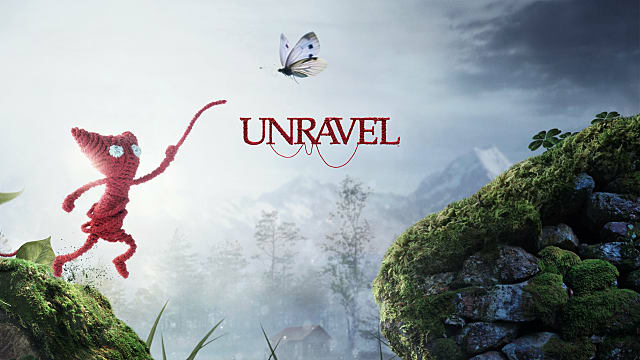 In some ways, Unravel is reminiscent of Limbo. 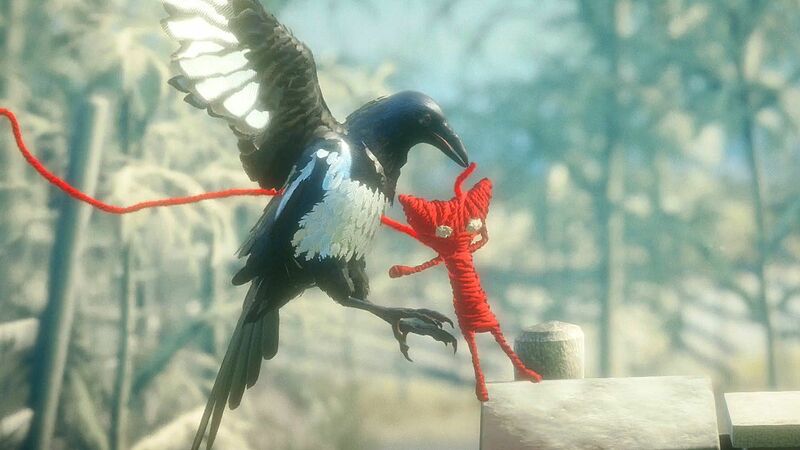 The little boy from 2010’s Limbo and Yarny both feel like they have weight. 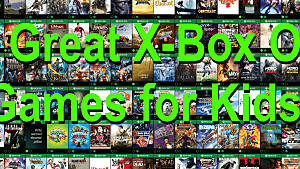 They can’t jump unreasonable heights like Mario or Super Meat Boy. Their movement is seemingly held within the confines of reality. They both tell much of their story through the stunning visual nature of their backgrounds and with the creatures of the world interacting with the protagonist. Straying across the sinister arachnid in Limbo was a chilling experience. And for a long time, I doubted that another common critter could leave me so unsettled. 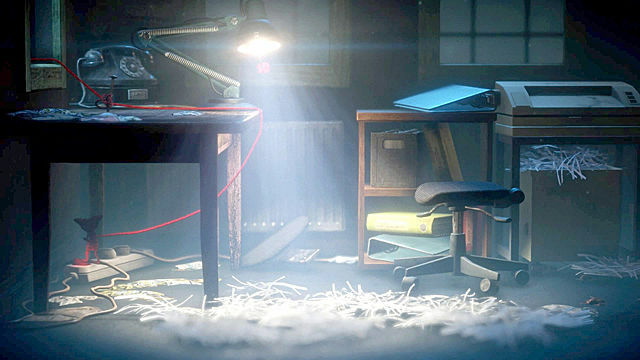 However maneuvering through an office at night has never felt as unnerving as it did in Unravel. Cockroaches scuttle along the floor like multi-legged leeches. If you fall into the darkness, you are torn limb from fabricy limb. You must bathe yourself and the path ahead in light to survive. 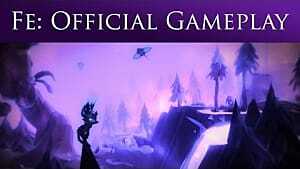 Yet another similarity between Limbo and this title is that the player must often die to realize what they’re doing wrong, to learn a rule within that world, or for a pattern to be navigated. However, where in Limbo after my initial death these patterns became clear, in Unravel, to my annoyance, this was not the case. Two specific sequences come to mind: Running across a field, desperately sprinting from cover to cover, avoiding the reaching talons of birds, and climbing along a power line, as distant lightning strikes semd volts of electricity through the cable. In both these instances, I struggled again and again to move on. There didn’t seem to be any logical pattern to the timing of the lightning strikes or the timing of the birds swooping down towards me. Sometimes, I’d have ample time to get to the sanctuary of cover. And other times after leaving cover, the moment it was safe to do so, I was grabbed or electrocuted despite not even being half way towards my next haven. After a litany of attempts I still found myself struggling to uncover the pattern. This confusion extends to the game's narrative as well. During the opening cinematic, an old woman looks fondly at a photograph, then seemingly remembering something, she slowly heads upstairs, dropping a ball of yarn along the way. Cut to Yarny, a toy made entirely of yarn looking at an empty photo album. 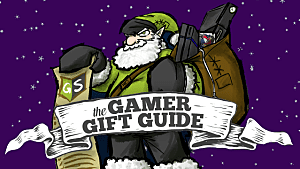 You take control of Yarny, moving throughout the house. With every photo frame you find, you are transported to the location of the image. You journey through each of these environments, seeing memories of the past, made out of shimmering particles. 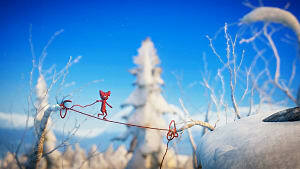 Eventually, each level ends with Yarny finding a small shape made of yarn. You are then transported back to the old woman’s home and one by one, you place each of the small yarn made symbols onto the cover of the photo album. Understand what’s going on? Good, because neither do I. Throughout the course of the entire game, I was confused. Who was this old woman who isn’t brought back into the narrative until the closing cinematic? As Yarny, am I stepping into a memory when I look into these photo frames, or am I actually going out and finding these strange shapes, which don’t seem to hold any real narrative purpose? And what is the story of these memories I am continuously stumbling upon? What are they trying to convey? With a lack of dialogue and nothing more than shimmering still-images of people in the distance, I was often left confused. Eventually, upon completing the game and assembling all the missing pictures of the photo album, I was able to piece together a story; a story that if I’d understood sooner, rather than at the end, I may have been moved by. 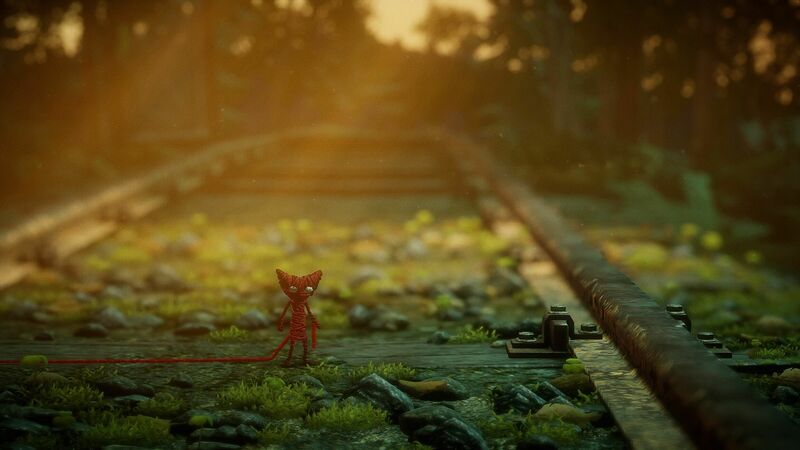 Unravel isn’t a bad game. 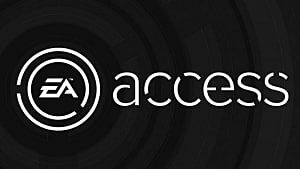 Mundane environments turned into stunning forests and industrial complexes, a moving soundtrack, and generally fun platforming help Unravel stand out amidst the crowd. 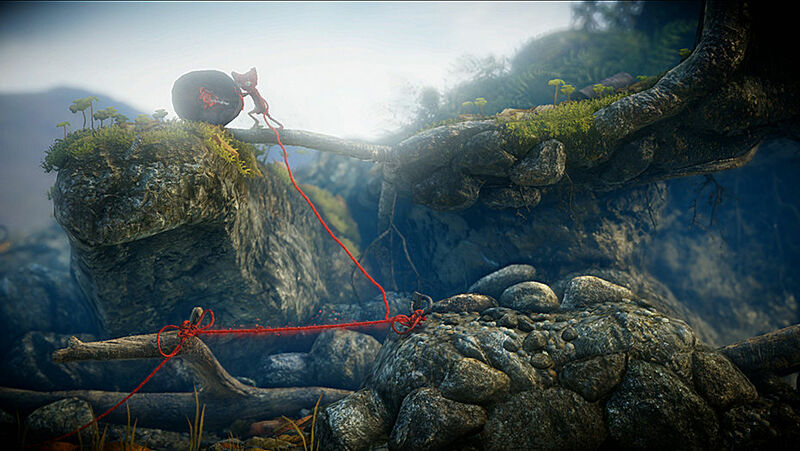 However Unravel falls short of greatness, through a confusing narrative and frustrating puzzle sequences. 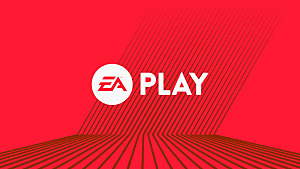 Overall, I give this game a 7/10. 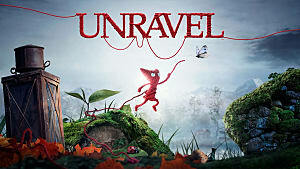 Unravel tries desperately to create an emotional and impactful indie experience, however it's confusing narrative and irritating puzzles hold it back from greatness.